Were you given a handful of wonderful names in addition to the standard first, middle and last? Then perhaps you are a long lost relative to the Spanish born Pablo Picasso (baptized name: Pablo Diego José Francisco de Paula Juan Nepomuceno María de los Remedios Crispiniano de la Santísima Trinidad) or surrealist painter Salvador Dalí (Salvador Domingo Felipe Jacinto Dalí i Domènech, Marquis of Dalí de Púbol) born on the North east corner of Spain. But really, if you have a love for art and especially if your first word was pencil, like was Picasso’s, you may have more in common than your long names. If this is the case then pursuing a degree in modern art online could have a very profound effect on your future and the future of others as did studying art for these two great masters. 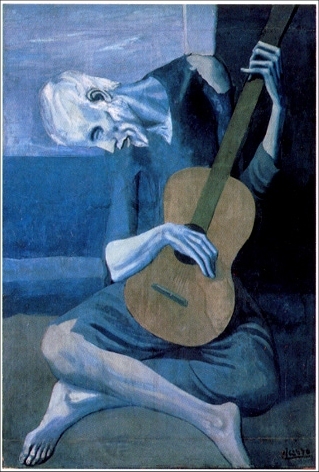 Pablo Picasso found a love for art early in his life and was given lessons from his father at the age of seven. Much to the disappointment of academic I’m sure, but to the sheer delight of the art world, young Pablo took much more interest in art than in his schoolwork. Ah, to be a kid again! When a passion exists in the heart, one can accomplish great things by refining their talents and heeding the dictates of their consciences. This is just what Picasso did and though his schooling consisted of much real life experience, he may have just considered an online degree in art had he been alive today. Why do I say this? Well, it is obvious that I do not know Picasso personally so I cannot say for sure, but his desire to travel and meet people may have just been enhanced in our modern internet age. Who knows? Next, Salvador Dali. A bit eccentric like many of the greats, painted many surreal landscapes and mashed up images of people and animals. He is perhaps most well known for his work, The Persistence of Memory with its melting clocks and dry desert scenery. Dali attended a drawing school at an early age and as he grew he continued to impress art lovers with his unique way of seeing the world. Do you have a keen eye for art? Does your understanding of the world come as you interpret it onto a canvas or sketch pad? Perhaps your path may follow Picasso and Dali, at least in terms of helping people to see things differently and consider new ideas. If this is the case, you may wish to consider an online art degree. With the flexibility that such a route affords you can hone your skills as you enjoy the benefits of both an online education and the freedom to travel as you do so. Perhaps Paris or Spain will be your first stop?